Your NORTH CAROLINA NATIVE FISHING GUIDE! 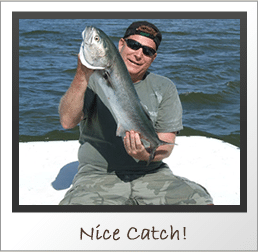 Fishing Southeastern North Carolina's Coastal and Tidal Waters, Rivers and Bays! My Minnows are Guaranteed to Catch Fish or They'll Die Trying!!!!!! 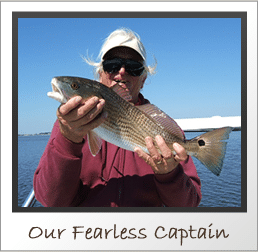 Captain Charlie “Lost Boy” Schoonmaker offers Nearshore and Inshore fishing trips on a half day or full day basis, seven days a week. All fishing is done in a comfortable 24 foot Carolina Skiff boat with a 115 HP Yamaha four stroke engine and T-Top for your shade and sun protection. Quiet and environmentally friendly, this boat and motor will get you and your friends quickly to the best “fish'n holes“ around. All your fishing gear ( tackle, bait, and ice) is provided----- All you need to bring are some drinks and snacks, sunscreen, a hat, sunglasses, appropriate footwear , a camera, an empty cooler for your catch, and a BIG SENSE of ADVENTURE! 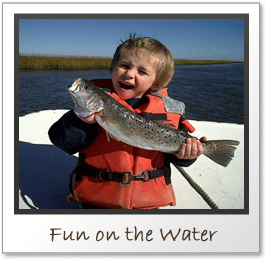 We even provide your North Carolina fishing License!! Come get lost with the “Lost Boy“ for an enjoyable day on the water! 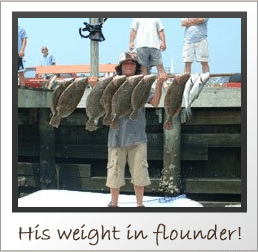 Our fishing trips originate in the Carolina Beach, Wrightsville Beach, Bald Head Island, and Southport areas of SENCland....(Southeastern North Carolina-land). We are proud to be known as one of the World's Greatest Fishing Centers, but we are just as proud to be known as the "World's Largest Open Air Insane Asylum!" No matter what the winds may be, great fishing spots are always available! 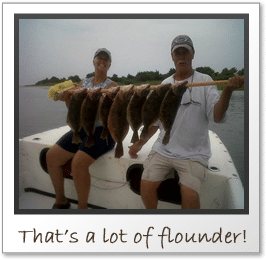 We also travel the North Carolina Coast to some unique and secluded islands for some Superb NC SURF FISHING also. 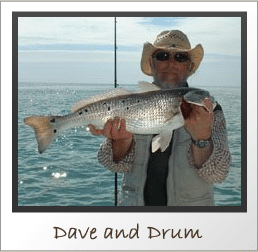 Our Inshore trips specialize in Red Drum, Black Drum, Flounder, Croakers, Spots, Sheepshead, Virginia Mullet, Gray and Speckled Trout, Striped Bass and other species destined for your table! Our Shimano light tackle fishing rods and reels make for a sporting day and provide a lot of shallow water fun. 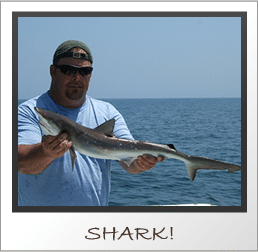 Our Nearshore trips off the Beaches and Inlets of Southeast North Carolina can capture Large Flounder, Spanish Mackerel, King Mackerel, Bluefish, Trout, Sharks and other Fish. Once again our well maintained light tackle provides the maximum of sport and fun! The rides to and from the numerous fishing spots are always interesting with many of nature's splendors just waiting to be discovered! A camera to record these new sights and your large fish is highly recommended. ADD $50.00 MORE PER TRIP. 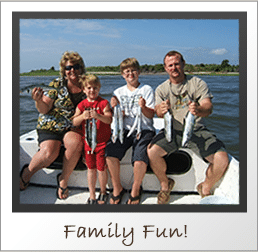 FAMILIES WITH CHILDREN ARE ALWAYS WELCOME TO FISH WITH US!!! We also will custom design a charter to meet your individual needs or schedule! Captain Charlie "Lost Boy" Schoonmaker has been a lifelong resident of North Carolina. 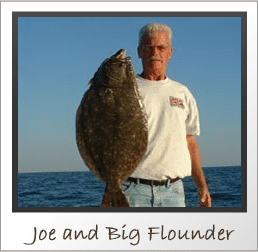 Growing up on the rivers, lakes, and shores of North Carolina has given Charlie experience in all water sports from freshwater canoeing to deep "bluewater" fishing. 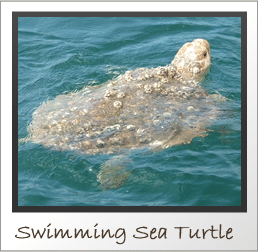 He has seen all aspects of the ocean world and can appreciate each complete & varied area of the fishing and water community. 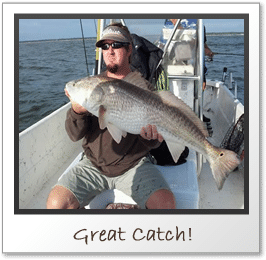 Charlie has over 45 years of local knowledge and experience fishing the Beautiful Southeastern Coast of North Carolina (SENCland). 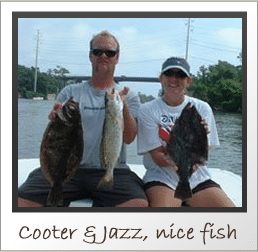 He is your perfect Native South Eastern North Carolina Fishing Guide and Charter Captain. Captain Charlie has been fortunate in having had the opportunity to travel and fish extensively in such countries as Venezuela for Billfish, Iceland for Atlantic Salmon on a Flyrod, Canada for Pike and Muskies, Mexico for Billfish, the Bahamas for Tuna, Billfish and the large Mahi Mahi, and the Caribbean. These travels have given the "Lost Boy" a greater understanding and appreciation of our world and its citizens, plus all the numerous tricks and techniques to catch all these different fish has been applied to his extensive local knowledge of catching fish here in SENCland! Having worked on Charter and Private boats in the Bahamas and the Caribbean during the past winters and springs for many years, the “Lost Boy“ has returned to Inland and Near-Coastal North Carolina fishing as a “For Hire“ IFC US Coast Guard Licensed Charter Captain (Master's License, 50 Ton rating). You can be assured that your safety and comfort is the top priority as well as your experience of having a wonderful, fun-filled, and exciting day! Families and Children are always welcome and so are your Pet Dogs! Captain Charlie's training as a professional educator (BA, History, 1969; MA, Guidance and Counseling, 1977) has given him the unique abilities as a captain, mate, and guide to teach numerous fishing skills to everyone and he takes great pleasure in working with young and old alike. When you find the "Lost Boy", he will be fishing, enjoying the world around him, and sharing his knowledge of the waters, equipment, and fish with others. The "Lost Boy" is a captivating storyteller, well versed in the culture and lore of Coastal North Carolina, universally known as the "Graveyard of the Atlantic." Charlie's positive outlook on life and quick wit are second to none and make him one of those unique individuals that you'll never forget. The rides to and from the numerous fishing spots are always interesting with many of nature's splendors and local history just waiting to be discovered! A camera to record these new sights and your large fish is highly recommended. We are proud to be known as one of the World's Greatest Fishing Centers, but we are just as proud to be known as the "World's Largest Open Air Insane Asylum!" No matter what the winds may be, great fishing spots are always available. If you have a Hollow Log...it's 3 shorts beats and 1 long beat...... Dooka, Dooka, Dooka...Thump!!! If you have a Bahamian Conch Horn, try one long blow at Sundown! Phone: 910-262-3474 - This cell is usually with me 24/7 and ON!